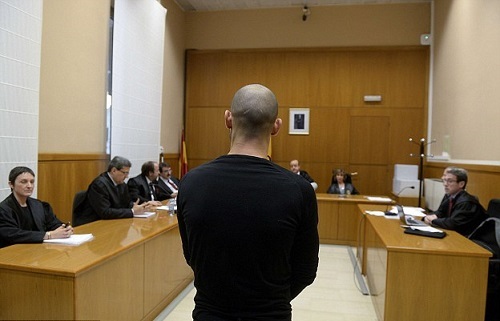 Javier Mascherano has been sentenced to a year in prison and fined €815,000 (£625,000) for two tax offences committed in 2011 and 2012. However, the Barcelona star is not likely to be spending a year behind bars, after his lawyer David Aineto requested the prison sentence to be substituted for the fine, which he is yet to pay. 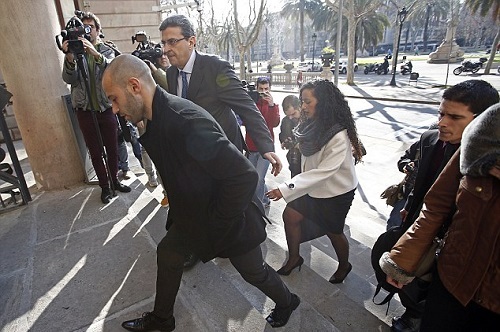 Mascherano's lawyer is also attempting to have the offences removed from his criminal record by paying an additional fine. After the court verdict, Mascherano published an open letter in which he insisted he was an 'honest and responsible person'. Read it after the cut. 'After agreeing my arrival at Barcelona I engaged the services of a prestigious Spanish tax firm of the highest professional standing and excellent reputation. 'Having in consideration my situation, they recommended to me certain financial structures, all of which they informed me were common practise, totally transparent and accepted by the law. 'I was assessed by these professionals from 2010 until 2014 when I decided to change my advisors in view of the proceedings that had been initiated against me along with evidence that my problem was no longer just a possibility but had become a reality. 'My new advisors recommended that I should pay all the taxes being reclaimed by the Inland Revenue presenting what is referred to as ‘corrections’ over all the relevant fiscal years.